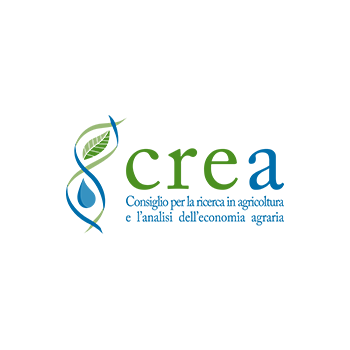 The EXCornsEED project aims to exploit the convergence between science, chemistry, biology, engineering and biotechnology tools for the creation of new knowledge and innovative applications, with the main goal to develop and validate an integrated process of innovative and highly sustainable extraction/purification/concentration technologies to be applied to bio-refineries side streams. 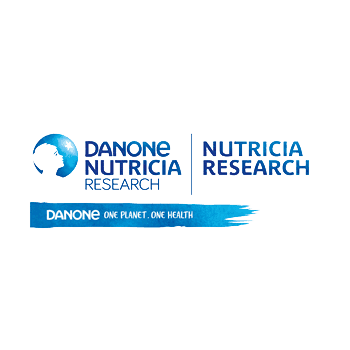 Nutricia Research is the global R&D organisation behind Early Life Nutrition and Advanced Medical Nutrition, divisions of Danone, sharing its global mission to deliver health through food to as many people as possible, and it aims to create nutritional solutions for vulnerable groups. Pregnant and lactating women, infants, elderly and patients of all ages with special nutritional needs deserve nutritional support. Nutricia Research uses life science, food science, technology and the drive and expertise of over 600 employees to deliver nutritional products to those with special needs. TECNALIA RESEARCH & INNOVATION is a private, independent and non-profit research organisation. Legally a Foundation, TECNALIA is the leading private and independent research and technology organisation in Spain and amongst the largest in Europe, employing near 1,400 people (214 PhDs) with an income of more than 100 Million € in 2016. TECNALIA is an equal opportunity employer, as shown in its current ratio of female/male employees (44/56). TECNALIA is committed to generating major impacts in economic terms by means of innovation and technological development, addressed by 6 business divisions, covering the economic sectors of Energy and Environment, Industry and Transport, Sustainable Construction, Health, ICT and Technological Services. TECNALIA has been granted over 396 patents and promoted more than 30 spin-off companies. TECNALIA is a key agent in the ERA – European Research Area. TECNALIA actively participates in the governing bodies of several European Technology Platforms, PPPs and JTIs (EEB, FOF, SPIRE, ARTEMIS, etc.). TECNALIA participated in 377 FP7 EU funded projects (coordinating 85 of them) and it is currently participating in 142 H2020 projects (coordinating 29 of them). TECNALIA is a member of EARTO and EUROTECH, linking together the most important research organisations in Europe. TECNALIA’s Energy and Development Division transforms energy and environmental challenges into opportunities for economic development. We focus our RTD activities on the development of technologies, products and services for a wiser use of energy and environmental resources, aiming at the enablement of a cleaner energy sector, climate resilient cities and societies, as well as more sustainable production and consumption systems. The Circular Economy Team at the Energy and Environment Division addresses the main challenges faced by the industry and society as a result of multiple environmental pressures linked to current human activities. Our mission is to contribute to the design of more sustainable futures through the enablement of a circular economy. In particular, we focus our activities in contributing to the development of innovative metrics and product design tools as support elements towards a transition to a circular economy. Our main research focus deals with the monitoring and assessment of existing methods, the development of new indicators, and the implementation of state-of-the-art metrics for a comprehensive characterization of environmental burdens on various sectors. We have extensive experience in the application of LCA-based tools such as C-LCA, LCC, SLCA, LCSA, carbon, environmental and water footprints. Most of these assessments have been implemented in collaboration with industrial partners for the development of new products within real industrial contexts. Additionally, we have also developed integrated sustainability assessment indicators at different territorial levels, including cities and regions, most of which have been developed together with other EU RTD partners in the framework of joint research initiatives funded under a number of EU programmes, including FP 6 and 7, H2020, ESPON and INTERREG. We have a direct involvement in most European networks working on industrial sustainability, representing Tecnalia at the KIC Raw Materials and PPP SPIRE platforms. Innovation Engineering is an Italian private company focused on the design and development of advanced IT solution to search, access and manage relevant knowledge within enterprises, on the web, and in structured databases, with a specific focus on the technology innovation domain. 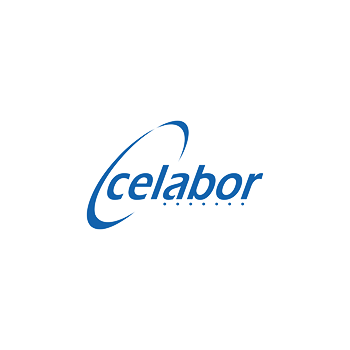 Set up in June 2009, Innovation Engineering is a growing company currently employing 30 highly specialized IT professionals, with offices located in Italy (Rome, Naples, Milan) and The Netherlands (Rijswijk). The company focuses on robust methodologies and IT solutions based on Java language and Open Source, to drive innovation through the search, manage and analyses of information that should be translated into valuable knowledge. The Innovation Engineering team couples longstanding expertise in the development of IT solutions, with a consolidated knowledge in the innovation domain within enterprises and extended enterprises’ framework. The main competencies of the company rely upon Knowledge Management Systems, Information retrieval, and Extraction, Web Semantic, Applications Development, Web Service and Back End Integration, Rich Internet Applications (RIA), and Mobile Development. Our client basis includes multinational companies, SMEs, and public bodies. The company is also participating in several research projects co-funded by the European Commission and by regional governmental bodies. 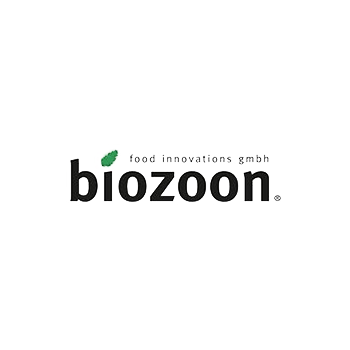 The main activity comprises the development and production of innovative food products; here biozoon is market leader in the field of processed texturizers for the gastronomy, catering, canteen kitchen as well as for private consumers. All products are developed by biozoon itself and protected by respective IPR – trademark or patent. Another part of the business is the licensing of patents on products & processes. 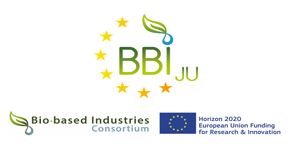 Currently biozoon holds a patent on a foam gel prepared in the micro wave and is involved in the patenting process of sugar reduced apple juice production which is the result of the European project LowJuice. 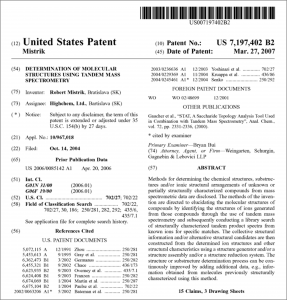 In addition biozoon has the ownership of more than 40 trademarks. Recently, the company started a new business area called smoothfood which focuses on products for the frail and elderly with difficulty in chewing and swallowing who live at home or in nursing facilities. The concept of smoothfood lies in preparing meals by means of using fresh food materials. The business strategy is to further develop new food products / ingredients and or improve the existing ones, by valorising innovative compounds obtained from natural sources, which makes this project an excellent opportunity to cope with this idea. The aim of Biozoon in this project consists in the development of protein enriched food products. Therefore biozoon takes the role of the end-user in the food-sector. Hence, the proteins and / or the other compounds will be transformed into powder formulations and at last incorporated into different texture modified food (smoothfood) matrices. Furthermore, the feasibility is analysed producing manually moulded smoothfood for elderly with chewing and swallowing disorders, but also additionally through a new technology, 3D printed food. Moreover, a quality assurance analysis of the new formulations will take place. Besides, biozoon will also have small roles in other tasks related to food developments. The company, born in 1971, has been involved in the production and distribution of cosmetics. Production has always focused on the formulation and production of emulsions of any form, blends and aqueous solutions, masks, bath products. It carries out constant search for new cosmetic preparations, also available for third parties, both for the aesthetic market and for the pharmaceutical market. To date, production is successfully exported to more than thirty foreign countries. Each line is carefully designed to offer specific and quality treatments, with natural ingredients selected by industry experts. The current production capacity is around 10,000 kg of product per month which can be prepared in a laboratory of about 900 square meters appropriately equipped and set up for the storage of raw materials, the formulation and consequent production of semi-finished products. Products are also packaged and shipped to the various reference markets, especially Italy, Middle and Far East countries. Among the main productive features, there is the production of special products called kits that are of particular interest to professional markets, aesthetic medicine and dermatology. These are the result of the sum of many products that, by cosmetic form, dose and quantity, are able to synergistically perform a specific function for which the product has been produced. 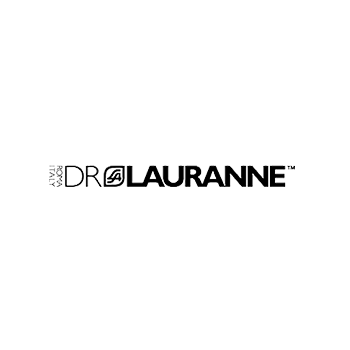 Therefore DrLauranne can use its knowhow in the project for developing cosmetic product transforming the ingredient extracted into the right cosmetic form (emulsion, gel, oil ect). The production are has also a small microbiological control unit, which is useful to perform stability test and microbiological. Procter & Gamble is multi-national consumer goods featuring 65 world leading brand in product such as for babycare, Feminine care, family care, fabric care, Home care, Hair care, beauty care, grooming oral care and personal health care. It is estimated that 5 billions consumer are using P&G product with presence in 180 country and yr sale of ~66 Billion $. P&G has operating capabilities in 70 countries and employs more than 145 nationalities. P&G is leading the R&D innovation in its key sectors with more than 2 billions $ iinvestment in R&D and 8000 employment in R&D in 17 global R&D centers, 4 of which in Europe. Celabor is Belgian scientific and technical center based in the Petit-Rechain industrial park near Verviers (Belgium). Celabor is an SME offering scientific and technical support to companies in the field of agri-food (nutrition and extraction), packaging, environment and textiles. Celabor has 20 years of research experiences and has been involved in a number of EU and national projects and is eager to maintain its position at the cutting edge of scientific knowledge. The “Food Technologies – Extraction” department of Celabor is equipped with a technological platform unique in Wallonia boasting an ATEX zone, a test hall constituted of pilot extraction equipment, a high performing laboratory and an experienced multi-disciplinary team. This team is working on the development of extraction, fractionation and purification processes with a “green” orientation, the preparation of natural plant ingredients (proteins, lipids and fatty acids, polysaccharides, polyphenols, alkaloids, etc.) for the food supplements, cosmetics and phytotherapy markets. One of the major activities of the “Extraction” department is focused on the biomass valorisation processes and recovery of primary and secondary metabolite from co-product and industrial agro-waste. Fundación Corporación Tecnológica de Andalucía (CTA) is a regional public-private partnership (PPP) that was created in 2005 as joint effort of Andalusia regional government and a group of key companies to trigger innovation activities performed by the Andalusian private sector and to connect these activities with academia and society, supporting public bodies innovation policy implementation and promoting world-class R&I in a transition region. 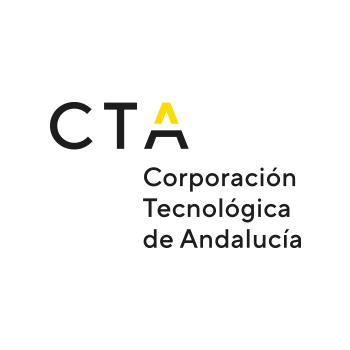 Currently, CTA is owned by more than 150 companies, 70% of them SMEs, in 7 main European industrial priority sectors: ICT, Aerospace and productive processes, Agrifood, Biotechnology, Building and civil engineering, Energy and Environment, and Leisure and Tourism. CTA’s main activity during these years has been advising, mentoring and funding (with own funds) innovation projects lead by companies and with a clear a measurable market application in a short and medium term, being therefore deeply embedded in the productive system. For the past 12 years, more than 600 projects have been supported with a total investment of some €150 million, having a leverage effect to mobilise additional private investment of ca. 460 M€. The partnership approach permeates these research projects, which must involve a research group. So far, more than 1000 local researchers and 309 research groups have participated. This way, CTA excels as a unique organization, acting as a multi-sectorial innovation cluster and, far from just funding, developing a holistic approach to innovation that paves the way for project results swiftly introduction in the market. CTA also acts as a catalyst of collaboration, disseminating results, creating partnerships between its members and research groups, both local and international, and supporting the creation of joint research projects. In addition, CTA organizes technology awareness events and training for companies on key emerging areas. Regarding the connection with public bodies, CTA is a policy advocacy body, providing strategic advice on innovation and technology to governments, from regional to international frameworks. Systemic vision of the RDI ecosystem: involvement of all value-chain stakeholders, RTDs and universities, society, governments, other associations, etc. ICECHIM was founded in 1951 and became in 2004 The National Research and Development Institute for Chemistry and Petrochemistry, being now one of the most important R&D institutes in Romania. ICECHIM has an activity of over 60 years in applicative and fundamental research, focused mainly towards applied and technological research. The main research directions are: Bioresources valorization, Biotechnologies; Nanosciences and Nanomaterials, Nanotechnologies; Technologies and advanced organic materials; Environmental protection and sustainable management of resources, recycling of by-products; Improving the competitiveness of industrial products; Rehabilitation and revitalization of the Romanian chemical and petrochemical industry. Renewable natural resources valorization represents a domain of great interest, according to the strategic objectives at European level, including biotechnologies for agro-food waste valorization, organic loaded water treatment, reconversion of oily greases from wastewaters, selection, identification and characterization of microorganisms involved in waste reconversion, by-products recycling. 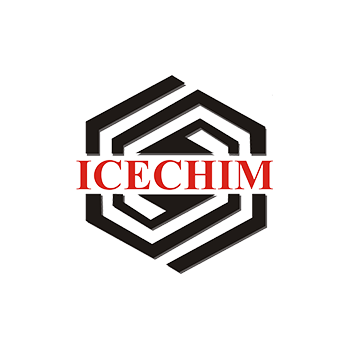 ICECHIM has five R&D Departments (Bio-resources, Biotechnologies, Analysis, Polymers, Chemical and Petrochemical Technology) and seven accredited testing laboratories, according to the standard ISO 17027/2005 for: water analysis, ecological fertilizers, analysis and testing dangerous chemicals, incinerator emissions according to Directive 94/67/CE, physical-chemical testing of dye-stuffs, varnishes and mineral oils, organic volatile compound content of dyes and varnishes. The Bioresources laboratory is mainly devoted to plant extracts using classical or unconventional methods, screening laboratory for investigation of the preliminary biological activity of bioactive compounds from plants and their constituents, analysis laboratory with capacity for identification and quantification of organic compounds. The research activity of the institute is reflected in result indicators: national R&D projects as a coordinator (16 CEEx, 25PN2/Partnerships, 15 Innovouchers/2012) and as a partner (33 CEEx, 31PN2/Partnerships), more than 10 international projects (Manunet, Eureka, Horizon 2020, Bilateral Cooperation), 90 communications at international scientific events, 5 published books/chapters in books, national and international scientific articles (242), patents (40 RO, 16EPO) and international prizes (35 gold medals, 50 others) for innovative products and technologies, mostly in the thematic area of the project or closely related scientific domains. The implementation team of ICECHIM has a high competence and equipments to successfully develop the proposed project, being able to recover by extraction valuable compounds from industrial side flows and to convert them into innovative formulations of high quality and environmentally safe. The Bioresources Department has as main activity scientific research and technological development regarding the use of natural renewable resources and by-products from current production of fertilizers and biofuels, development of technologies for polyols from natural resources, agro-useful products, overactive biocides and formulations of ecological bioactive products, specific chemical analysis of fertilizers and agrochemicals, characterization of commercial products, raw materials and intermediates. Thus, ICECHIM specialists will deal with the synthesis and formulation of fertilizer compositions which will be encapsulated and together with L’UREDERRA specialists will elaborate and develop the technology for encapsulation of fertilizer compositions, including physic-chemical characterization of formulated fertilizers, according to EC 2003/2003 Regulation. Also, as a research institute will exploit project results as follows: formation and development of the competence of youth potential in the research profile, facilitating some stable professional positions for young researchers, formed as high level specialists who will have also the opportunity to have training stages and exchange of experience in the specific domain; promotion of the participation for research institutes at European programs and the integration of said institutes in the active international networks. The cooperation between specialist teams from the EC is meant to ease the access of the Romanian and Spanish research to the technological novelties in the domain, to the experience of other partners in the project, but also to offer to scientific community an objective image on the quality of the Romanian and Spanish scientific research. In conclusion, ICECHIM has a strong position in the consortium because it has a strong research experience in the coordination of over 100 national and international projects in the scientific domains of chemistry, agrochemistry, bioresources, biocides, biofilms, biodegradable materials. The CREA Consiglio per la ricerca in agricoltura e l’analisi dell’economia agraria (Council for Agricultural Research and Economics) is a public research organization, under the aegis of the Italian Ministry of Agricultural, Food and Forestry Policies. 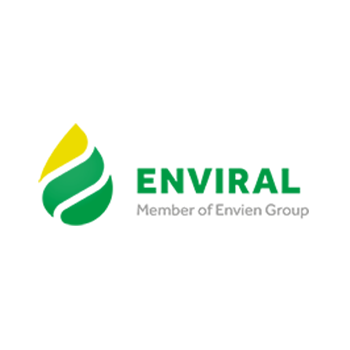 CREA is the main Italian Public Research Institution entirely dedicated to the agro-food sector. The Council takes on, with a multidisciplinary approach, the great challenges of this century regarding the agricultural, forestry and fisheries productive systems. The production of healthy and safe food meeting the nutritional needs of a growing world population and the utilization of biomass and wastes to produce energy and materials in a sustainable way are among CREA’s missions. The Centro di ricerca Alimenti e Nutrizione (Research Centre for Food and Nutrition) is one of the 12 research Centres of CREA. The Centre carries out basic and applied research in Food Science, Nutrition Science, and Applied Food Science. The three Research Departments have competencies in food chemistry, food technology, human nutrition, national dietary surveys, nutritional database design, sensory analysis, nutrition education interventions. The Centre issues and updates the Italian Food Composition Tables and the Dietary Guidelines for Italians. The research group “Food Science and Nutraceutics” proposing this project has a consolidated research experience on the quality of traditional and novel food products of animal and plant origin. Research projects on nutritional quality biomarkers of food from different value chains, valorisation of traditional and local products finalized to the obtainment of quality labels and organic certification. Studies on the impact of different rearing/cultivation methods, post-harvest treatments and processing techniques on the quality and shelf-life of products . Studies on phytochemicals and bioactive molecules with beneficial health properties, on sustainable sources of nutrients and bioactive molecules and on the nutraceutical properties of novel food. Studies on the nutritional adequacy of the Total Diet: assessment of the daily intake levels of nutrients and bioactive substances. 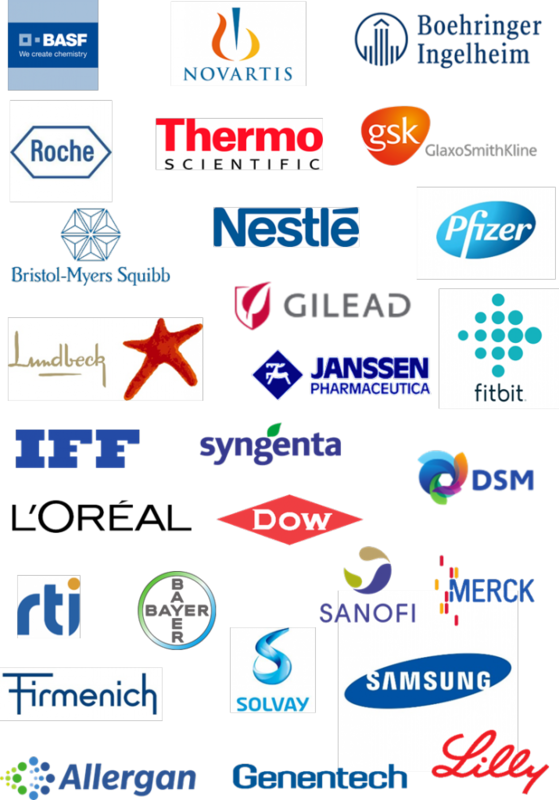 HighChem belongs to one of the world’s most innovative companies in the development, design and engineering of bioanalytical technologies that enable chemists, pharmaceutical scientists and biologists to turn complex data into new products and discoveries. Mastering the fragmentation prediction on an advanced level, HighChem Mass Frontier™ is the undisputed worldwide leading software for the interpretation, management and processing of mass spectral and chromatographic data that has been licensed to more than 2000 laboratories, including major pharmaceutical companies. In addition to desktop solutions, HighChem develops library and cloud systems, and builds large data collections of fragmentation knowledge, experimental spectra and organism specific biochemical data that are indispensable in modern biochemical, pharmaceutical, metabolomic, forensic and environmental applications. Our goal is to make the inherently difficult tasks of drug development, natural products identification, and biomarker discovery straightforward and more efficient in order to open doors for a wide spectrum of customers to new innovative products. Founded in 1998 by Robert Mistrik, HighChem is based in Bratislava, Slovakia and relies on its team of thirteen talented scientists, software engineers and data curators, seven of whom have a PhD degree. 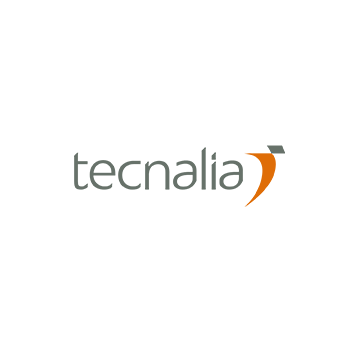 HighChem is collaborating with Thermo Fisher Scientific (TMO), a Silicon Valley based global provider of analytical instruments, laboratory equipment, consumables and reagents. HighChem holds STN EN ISO 9001:2009 certification, an authoritative international standard for quality control. The certificate covers quality management system for research and development in the area of analytical chemistry and software. This confirms that HighChem is strongly committed to provide high quality products and services to its customers. 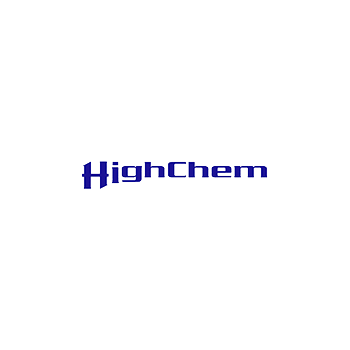 HighChem products are highly successful in various key markets as demonstrated by the 218 selected references in scientific peer reviewed journals (http://highchem.com/index.php/references). 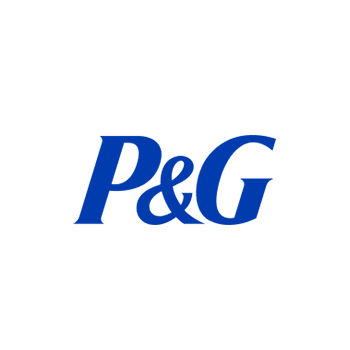 HighChem’s 2000 customers range from chemical, pharmaceutical, food and biotech corporations to consumer electronics businesses, forensic laboratories (FBI) and regulatory agencies (FDA). HighChem Mass Frontier is used by Samsung in the development of their very successful organic light-emitting diode (OLED) displays. According to a Wall Street Journal’s report (28 February 2017) Samsung will be the initial supplier of OLED screens for Apple’s 10th anniversary iPhones. Nikkei Asian Review reported (4 Apr 2017) that Apple had ordered 70 million display panels that the South Korean giant specializes in for the upcoming iPhone. HighChem has developed and patented a method called Precursor Ion Fingerprinting (PIF) and introduced a spectra tree database concept. PIF identifies substructural information through the comparison of the product ion spectra of structurally related compounds. Structural information is derived by utilizing previously characterized ion structures stored in a reference database of tandem mass spectral data and matching them with unknown product ion spectra. ENVIRAL a.s. is the first and leading, private held company in the area of bioethanol production in Slovakia. It was established in 2004 and the commercial production of bioethanol was launched in July 2007. Current annual production capacity is 145,000 m3 of bioethanol, which has been increasing every year thanks to continuous optimization of processes. The Company has the best technical and appliance infrastructure adapted to production of ethanol from starchy raw materials at their disposal. The Company puts emphasis on quality and state-of-the-art technology and employs the brightest professionals, qualified in the field of chemical technology and biotechnology. The tradition of ethanol production in the area is more than 100 years old. In the past, other high-end biotechnological plants were operated in the area, e.g. citric acid production so the plant staff has broad experience in biotechnology and engineering in general. Currently, there are three biofuel plants operating in the area, i.e. bioethanol production in ENVIRAL, rapeseed oil and rapeseed meal production in Polnoservis and biodiesel production in MEROCO, whereas all these three plants belong to the Envien Group holding. The production of bioethanol is a fully biological process using the technology of alcoholic fermentation of biomass – corn (maize) at ENVIRAL premises. Bioethanol is primarily destined for the fuel market or for further processing in refineries, for direct mixing with gasoline or according to the requirements of customers it is possible to denature a product by various denaturing agents. Among bioethanol, ENVIRAL is producing dried distillery grains with solubles (DDGS) as a by-product for further production of animal feed. During the process of DDGS production, distillers corn oil is separated to be transformed to biodiesel in MEROCO plant. ENVIRAL’s customers can rely on the best quality products and by-products guaranteed by the implementation and certification of following systems: EN ISO 9001:2015, HACCP, ISCC and GMP+. At present, the company employs about 160 employees. In 2015 its revenues have reached 105M Eur. The main vision in ENVIRAL a.s. is a waste less production process and its sustainability throughout the whole production chain. The Company declares reduction of greenhouse gas emissions of at least 60%, when compared with the fossil equivalent – gasoline. ENVIRAL put emphasis on creation of subsequent and complementary technologies to process all by-products from current manufacturing procedures, containing a rich spectrum of biologically and also commercially interesting chemical components such as phytosterols, carotenoids, isoprenoids, tocopherols etc., to produce new more valuable products with higher added value. The issues of gradual and repeatable increasing the value of by-products of chemical production will also be solved for the purpose of extraction of valuable substances by solving the co-production thereof together with biofuel. With over 700 years of history, 111,000 students, 4000 teachers and 2000 employees, technicians and librarians, in addition to 2000 administrative staff, Sapienza University of Rome is the biggest university in Europe. Its outstanding multidisciplinarity gives the ability to deal with several issues related to the wide spread of human needs, as demonstrated by the high number of EU-funded projects where the proponent is involved. The Department of Chemical Engineering, Materials, Environment (DICMA) is part of Sapienza University of Rome and it combines researchers and professors who carry out research and technological innovation in the fields of process engineering, materials, biotechnology, environment and industrial security. In all of these areas, DICMA’s activity embraces a variety of skills and methods. The main research guidelines are represented by projects recognized and funded at national level, such as National Projects (PONs) and National Research Projects (PRINs), and internationally, as well as numerous projects funded by industries and private sector. One of the main lines of research in the biotechnology sector concerns the production of high value added products such as carotenoids, polysaccharides or phenolic extracts from agro-industrial wastes (i.e. residues from industrial processing of tomatoes, artichokes, olives, berries and spent coffee grounds). On this topic Sapienza coordinated the EU-funded project “NoAW” (H2020-WASTE-2015-two-stage). The technologies we usually use are based on environmental friendly mixtures of solvents or, preferably, tailored formulation of hydrolytic enzymes capable of degrading the vegetable matrix and enhance the extraction yields ot targeted compounds (Research Project funded by Sapienza University of Rome in 2012). This approach has also been successfully used to recover metabolites from microalgae, especially lipids for biodiesel production, carotenoids and proteins. Sapienza’s focus on new routes for biofuels production has been well represented also in the coordinated EU-project “Biowalk4Biofuels” (FP7-ENERGY-2009-1). The possible reuse of the solid extract residue as adsorbent material for the removal of pollutants or as fibers and nanocellulose source for biocomposite production, as well as a component for the formulation of quality feed was also deeply investigated. Retrieved bioactive compounds can be used to develop new functional products with high antioxidant activity and / or antimicrobial properties for food or cosmetic use. In particular, the possibility of enriching or fortifying widely-consumed foods such as yoghurt, baked goods and beverages, with polyphenol and / or carotenoid extracts is evaluated. The stability of the products obtained is also studied in order to define shelf life and optimum conservation conditions. This strong background will be exploited for the realization of EXcornSEED project. The research, in fact, will include an experimental phase, aim to study the extraction procedure and the influence of the operating parameters on the extraction yields of selected bioactive compounds from the three side streams considered (corn oil, rapeseed meal, thin stillage). In particular, the extraction, enhanced by the tailored enzymatic mixtures, is one of the main process that will be evaluated for the recovery of proteins, biopeptides and other value added compounds from rapeseed meal and thin stillage, while liquid to liquid solvent extraction and supercritical CO2 will be studied as possible technique to extract valuable green biochemicals from corn oil.